Everything you need to know about home care, caregivers and senior living can be found right here. Check back periodically to learn about how older adults can make small changes that will have big impacts on their wellness. Learn about the benefits of working with a home care agency to live independently in the comfort of your own home. 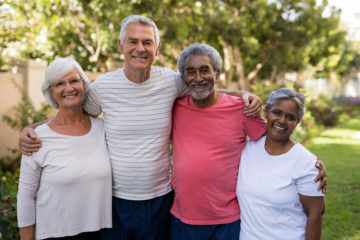 Find out about community events geared specifically for the elder community. Every thing you need and want to know about senior living will be right here, for you! Ideas about responsibility and who bears the responsibility of in home care will continue to grow as the elderly population rises. Similarly, so will the network and number of caregivers. Thus, with this rising population of caregivers, will also come necessary shifts in the way that caregivers serve different communities. Subsequently, a rise in care will mean a rise in the different types of people receiving care. As a result, programs and common standards will continue to change. 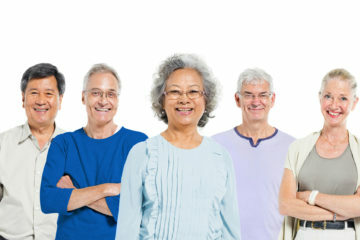 According to the CDC, the number of Americans over 65 is expected to expected to double from 2010 to 2050. This means an increase from 40.2 million seniors to around 88.5 by 2050. This could mean a dramatic shift in the way we see in home care services continue to grow. Because of this, there is an expected increase in those who will receive long term care. 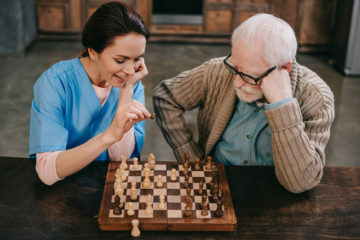 It’s important to understand that in the state of Illinois and in the case of home care agencies in Illinois, home care agencies serve as a middle ground. Home care aides are trained and assigned from Homecare Powered by AUAF. 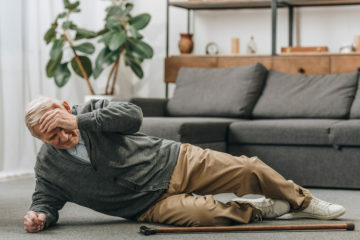 But, assessment and coverage of a home care recipient (whether through Medicaid or other means) is determined by a CCU. While each organization is different, you can learn about the process of becoming a caregiver for your parent at Homecare Powered by AUAF. 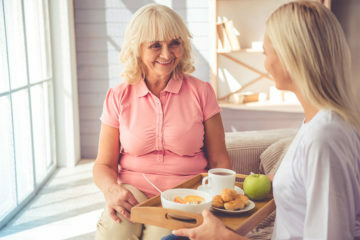 To initially start the process of becoming a caregiver for your parent, you will come in for an initial interview at AUAF followed by an application process. 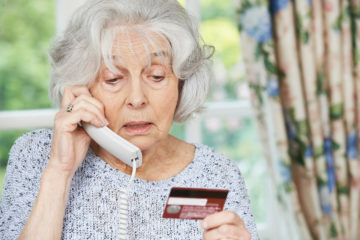 Seniors have long been targets for financial scams. Scammers have honed tactics in reaching out to this vulnerable population. But, preventing senior fraud can be as a simple as understanding the vulnerabilities scammers are looking for. There are programs, that help seniors understand how to avoid different types of fraud. The Illinois Attorney General’s Office has one such program called Silver Beat. It helps seniors obtain knowledge and the ability to take control of what can happen. Showers and baths are important components of hygiene. Being hygienic prevents many other issues with seniors down the line. 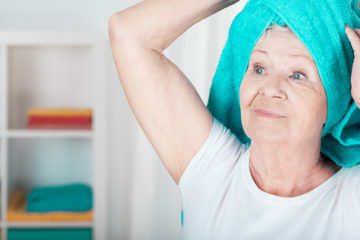 As we age and slow down, not being able to take baths on our may cause anyone to want to avoid them. It can be embarrassing or make someone feel like they are losing independence. This is especially true with seniors who may be facing many other changes and moments in their life where they realize they may now need help. You will be walked through the process of training from beginning to end by our licensed and insured agency. 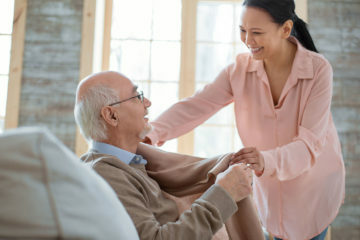 Hence, opting to become a caregiver through an established agency, like Homecare Powered by AUAF, provides you with the backbone of what you need to begin reputable service. We have all caught the flu at some point in our lives. But, as we get older it can be vital to take precaution against it. 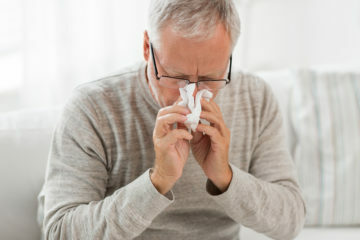 Consequently, as we enter our senior years, our immune systems can’t fight infection as efficiently. Therefore, this is why it is important to keep up with our health and nutrition as we age. With the growing digital age, the number of elderly people using new technology has significantly increased. According to Pew Research, 6 in 10 seniors, or about 59% now go online. Consequently, there are many ways in which seniors lives are being enriched through increased technology use. What we at Homecare Powered by AUAF can do is provide non-medical in-home care. And what this can do, is provide support to a loved one that may be in the early stages of dementia. Dementia is marked by mental decline. 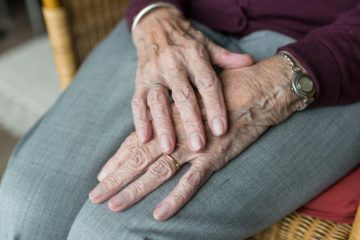 Because of this, the wide variety in support that in home caregivers can provide, can take a lot of the stress and anxiety out of those beginning to suffer with dementia. 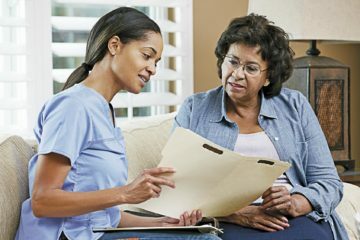 The question of how much home care providers make can be an important consideration in becoming a home care aide. 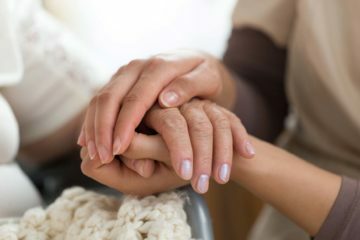 It can be an important question in the case of deciding on whether to become a home care aide for a loved one. 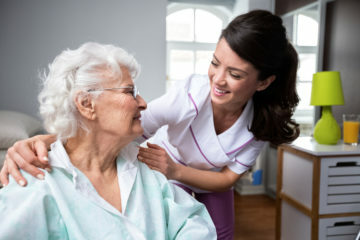 Deciding to become a home care aide, or becoming a home care aide specifically for your loved one can be daunting. For a loved one, it can mean deciding to give up your time and potentially making a drastic change from what you currently do. Taking the steps necessary to provide your loved one with what they need to age sets them up for ease in their older years. This can be in a variety of ways. 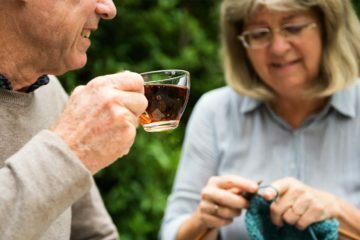 This can include taking time to make sure they are doing the things they enjoy in life, that they are still focusing on their mental health, or even talking to them about adding an in-home care aide to their daily or weekly routine. 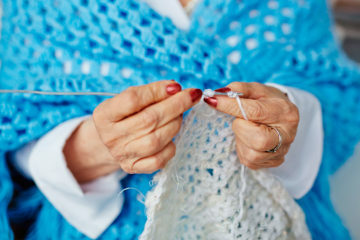 A perfect way to celebrate the holiday season with your senior loved one is with crafting. With the streets of the Chicagoland area being decorated for the holidays, it’s a great time for your senior loved one to partake in the decorations. Growing and transitioning into your older years can become some of the best days of your life. As you or your loved one transitions into a new stage of life, there are many positive changes to look forward to. There are many specifications when it comes to healthy aging. Taking care of both the physical and mental aspects of our bodies are requirements. One very important aspect in our physical care, is our nutrition. A key to nutrition is making sure you are getting enough fruits and vegetables. Certain studies show that fruits and vegetables that are “in season” are packed full of more nutrients. 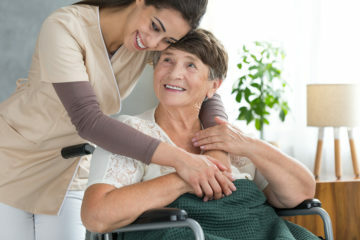 Chicago homecare agencies such as Home Care by AUAF are there to assist with the unexpected. Behavioral shifts may need the attention of one of our caregivers here. Also, it’s important to note that these shifts could be signs that a senior is experiencing symptoms that may escalate. Alzheimer’s affects approximately 1 in every 2 families in the U.S.
As a Chicago home care agency, we strive to go above and beyond. 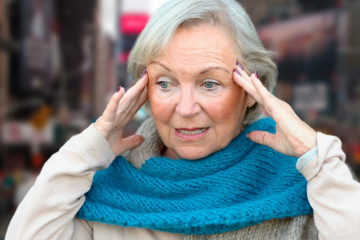 We recognize the added stress of home care in Chicago. This recognition pushes us to present suitable activities to your loved one. 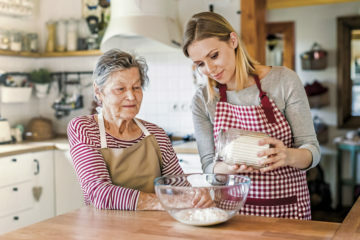 Furthermore, it pushes us to find the caregivers that are ready to participate in these activities while maintaining the rest of your loved ones basic in-home care needs. While receiving assistance from a homecare agency in Chicago, there are a variety of needs that can be met. One of the positive factors surrounding home care from our agency includes the regularity of mental activities provided by our caregivers. As we age, our resilient, dynamic brains are still constantly growing with new neurons forming. Those neurons form as a result from a variety of mental activities, both new and familiar. Homecare Powered by AUAF started as a result of the Coalition of Limited Speaking Elderly. This means that our very beginnings in elder care were sparked by an intent to meet the needs of underrepresented communities. Our beginnings rest in the idea that we can serve communities through elder care at home. Our in-home care aides receive training with the base goals of the CLESE in mind. The wide array of languages that we can provide homecare aides meet these goals. This includes English, Assyrian, Arabic, Russian, Persian, and Armenian. 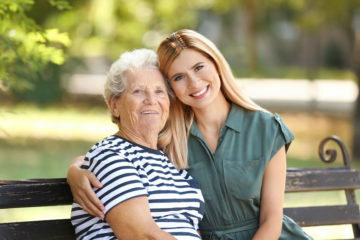 When a parent or loved one begins to get older, common questions arise, “can a family member be a paid caregiver for that loved one?”. The answer isn’t a simple yes or no. Many things need to be taken into account. 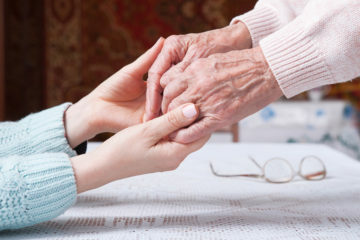 Becoming a homecare aide for a loved one requires time, dedication, and patience. Deciding to opt into receiving care from a caregiver agency in Chicago can mean many new things for your senior life. There are a variety of activities for seniors to do as they grow older. 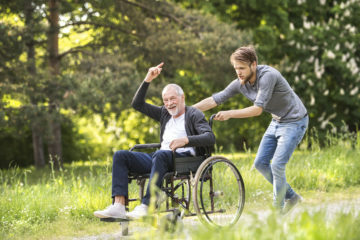 Hence the addition of homecare assistance frees up time and energy for you or your loved on to do the things they want to do as they grow older. The Chicagoland area has drastically changing the weather and can take potential tolls on the elderly. There are a wide array of homecare services available for your loved one. We at Homecare Powered by AUAF provide in-home care services. This means that we provide help with a wide variety of tasks including things like laundry, meal preparation assistance, medication reminders, transportation assistance, and even social and companionship interaction. 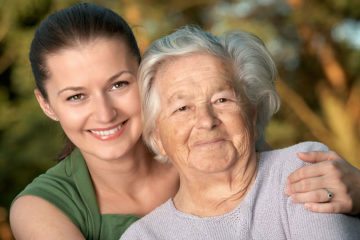 The benefits of having a caregiver for elderly parents and loved ones are undeniable. Senior care doesn’t need to be a burden on anyone. A home care agency can offer the solutions you need, at the time you need them most. 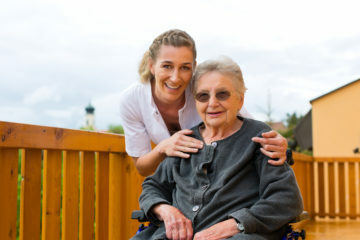 A home care agency can provide the senior care assistance you need to live independently. Find out if home care is the right choice for your elder care needs. If your senior parent or family member is in need of proven, comprehensive elderly care in the Chicago area, you’ve come to the right place. At Home Care Powered by AUAF, we are proud to serve the elderly community of Illinois, distinguished by our commitment to our clients. 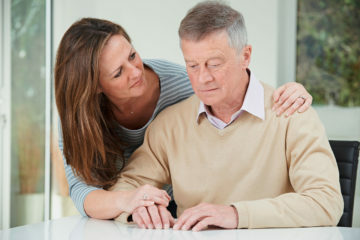 Finding the right caregiver for your loved one is never easy. 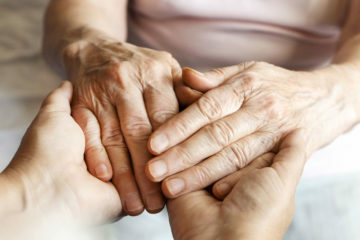 Our experienced team here at Home Care Powered by AUAF will help you consider your options and make the right decision. We look forward to welcoming you into our family.